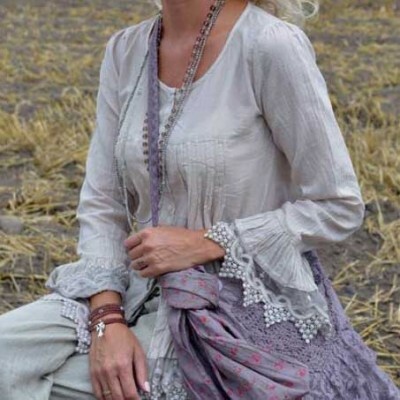 Jeanne d’Arc Living have created a romantic feminine range of clothing that we have fallen in love with at Jeanne d’Moore. Soft muted colour tones, in 100% cotton with lovely lace features that creates a look all of its own. Jeanne d’Arc Living’s French Nordic style clothing line has become a great success in Europe. The range is already proving popular in Australia.